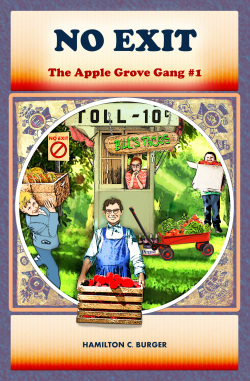 THE APPLE GROVE GANG SERIES! lead them to the depths necessary to cure GOLD FEVER. proportions, 'The Gang' turns back the hands of time, in an effort to solve it. have you turning the pages. 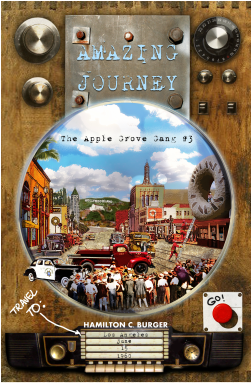 "Even though my boys are grown, I found myself wishing they were young again so they could read NO EXIT (The Apple Grove Gang). This book is beyond refreshing - a great story about kids who still play outside, know people in their town and have an adventure that makes a difference in their lives. When the gang runs up against local politics that threaten their community center they find out how tough it is to fight city hall. Hamilton C. Burger's obvious delight in his craft shines through on every page. The kids in this book have real voices and real lives. No dungeons, dragons or wizards here, rather a book that will make both parents and young readers happy. 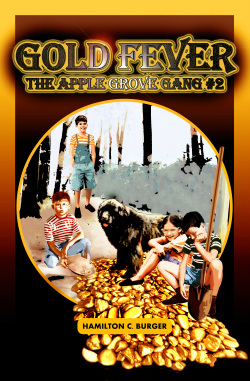 Thank goodness there will be more in the Apple Grove Gang series." Rebecca Forster - USA Today Best Selling Author of the acclaimed Witness Series. where The Apple Grove Gang romps through the days when people cared what happened to our neighbourhood and were prepared to "stand up" against wrongdoing! book in the series highly suitable for readers of all ages. Editor, Words Magazine. London, England.